The abundance of harmful substances in the environment along with the passive and active smoking, stress, endless time pressure and lack of sleep leads to bad health. 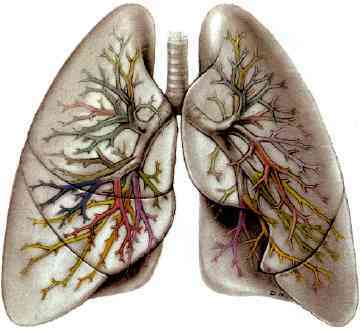 The human respiratory system is at huge risk because of these reasons. It is difficult to take care of your health nowadays, but simple protective measures can help you keeping lungs clean and making the breathing process much easier, frequent and comfortable. People try their hand on breathing exercises, physical activity in the fresh air and, of course, herbal medicine to get rid of this problem. In today's world, we can sustain this problem due to polluted air exhausted with smoke coming out of car's silencer, dust coming out of the city streets and industrial wastes. The first symptoms include feeling tired all times, laziness, breathing difficulties and failure to run around 200 meters in a go. If you are feeling that your heart is coming out from your mouth after a routine jogging, it means that your lungs are not healthy. Chest pain is the major indicator of this problem. A chest pain that lasts for more than a month indicates a problem in lungs or respiratory system. If you are coughing throughout the day and if you encounter blood in your mouth, it tells that something is improper with your respiratory system. If you ever encounter chest problem, consult a doctor and ask him if your lungs are doing fine. The development of low lung capacity is associated with irreversible changes in the wall of the bronchus and lung inflammation under the influence of long-term narrowing of the airways. Shortness of breath is also a big indicator of problem in the lungs. If you encounter this problem, it is recommended consulting a physician.